The T2 is a complete and self-contained SD and HD audio/video playout center. 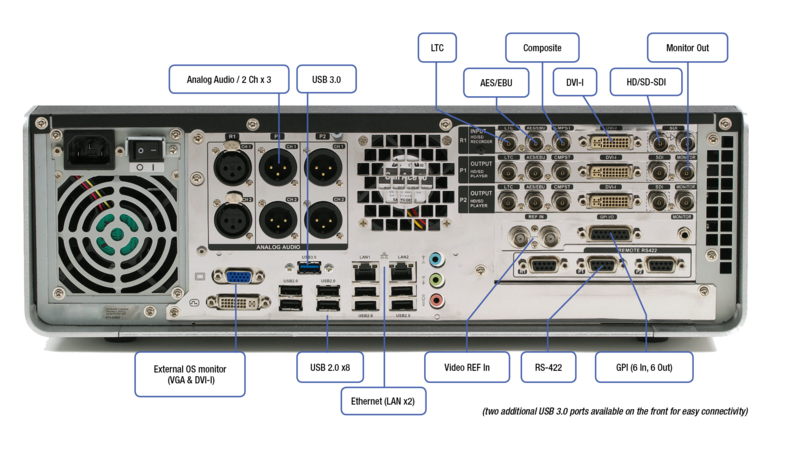 The front-panel transport controls have the look and feel of a traditional VTR, and one record and two output channels support SD and HD content. 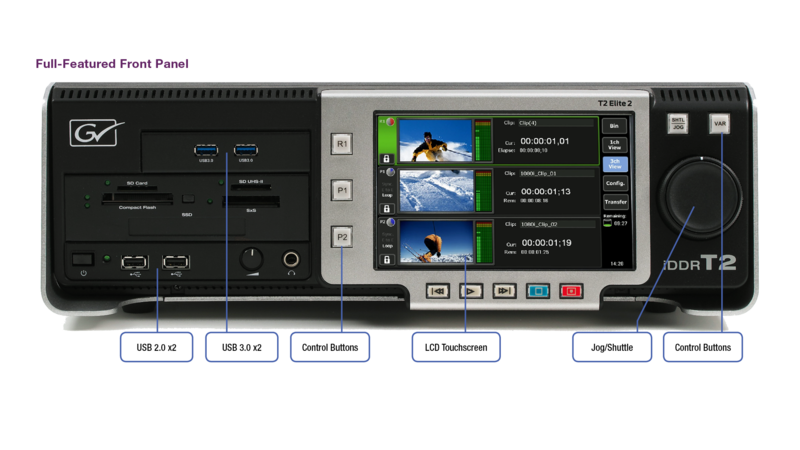 The crisp, clear LCD front panel can display high-quality images and is complemented by a software application suite for managing and selecting media clips, clip editing and trimming, and playout — including playlist creation. Cardreader only available in Elite Version. Grass Valley T2 is delivered as Turnkey System.